Electric actuator for industrial valves. Some industrial fluid flow applications are best served with what is known as a master-martyr valve set. Let's look at this arrangement and how it is used. Valves are used to regulate flow. They are also applied to isolate portions of a fluid system by providing positive leak free shutoff. A master-martyr valve set utilizes two valves, with the performance of each targeted at differing performance goals. By coordinating the operation of the two valves, operational benefits accrue. The master valve serves as the isolating valve. It will be located upstream of the martyr valve. The master valve provides fully open or fully closed operation and is commonly selected to accommodate the most severe operating condition anticipated in the system. Usually, this valve is normally open and is designed to contribute little to no pressure drop to the fluid flow. A good example is a full port metal seated ball valve. It offers very low pressure drop, substantial resistance to system pressure or heat, and can be driven from fully open to closed positions quickly. The martyr valve provides flow regulation or throttling and is not intended to be the positive means of shutoff for the fluid flow. This valve will experience a range of pressure drop, possibly some flashing, or other conditions that, along with the frequent repositioning applied to the valve, will serve to produce wear and tear on the mechanism. Generally, the martyr valve is expected to wear out from normal operation and need servicing or replacement. The master valve, located upstream, serves as a point of isolation that allows the martyr valve to be easily serviced. The overall goal is to operate the master valve as little as possible and expose it to the lowest possible pressure drop. Generally, this will call for the master valve to be opened first and closed last. There are numerous potential applications for this valve arrangement. 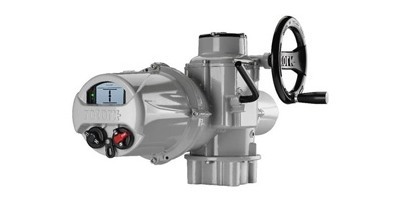 Smart actuators can function within the control system by delivering information about valve position and service level, as well as responding accurately to system commands. Share your fluid flow control challenges and applications with valve automation specialists. Leverage and effective solution by combining your own knowledge and experience with their product application expertise.